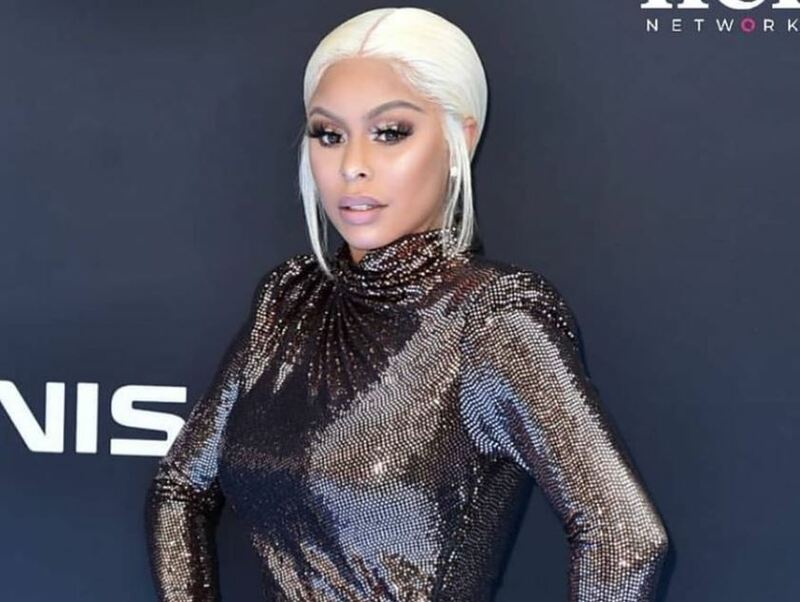 Alexis Skyy, an American TV personality, and model rose to prominence for her appearance in the TV Shows like Love & Hip-hop: Hollywood and New York. She began to appear in the reality TV Series from 2017 with Love & Hip-hop: Atlanta. As of January 2019, Alexis is making the news for being in a relationship with Rob Kardashian. Alexis was born in Long Island City, New York, USA on 14th July 1994 as Anastasia Mcfarland. She is of American nationality and part of the mixed ethnicity with Dominican and Jamaican descent. Her zodiac sign is Cancer. Alexis got raised by her grandmother and mother her siblings. Alexis’s rise to journey is different from most celebrities as she made her way to the top from the bottom. In the early stages of her career, she paid the bills taking the job a stripper in a club, and she does not regret her decision as it paid her bills. With the struggle, Alexis opened a Spa named, The Bella Sky Spa in 2016 in Atlanta, Georgia however, the Spa got closed for now. In the year 2017, Alexis got the attention of media for her appearance in the reality TV Show, Love & hip-hop: Atlanta followed by her presence in Love & Hip-hop: Hollywood. In the same year, she got the headlines for her leaked tape with rapper Fetty Wap and her feud with Masika Kalyasha. In the 2018-19 season, Alexis appears on the show, Love & hip-hop: New York alongside Remy Ma and Papoose. Apart from her TV Career, she had modeled for several brands and magazines like Facet Brand and Fashion Nova and so on. With a basic salary of an American model, $32 thousand to $42 thousand, Alexis’ net worth is estimated at $1.5 million. 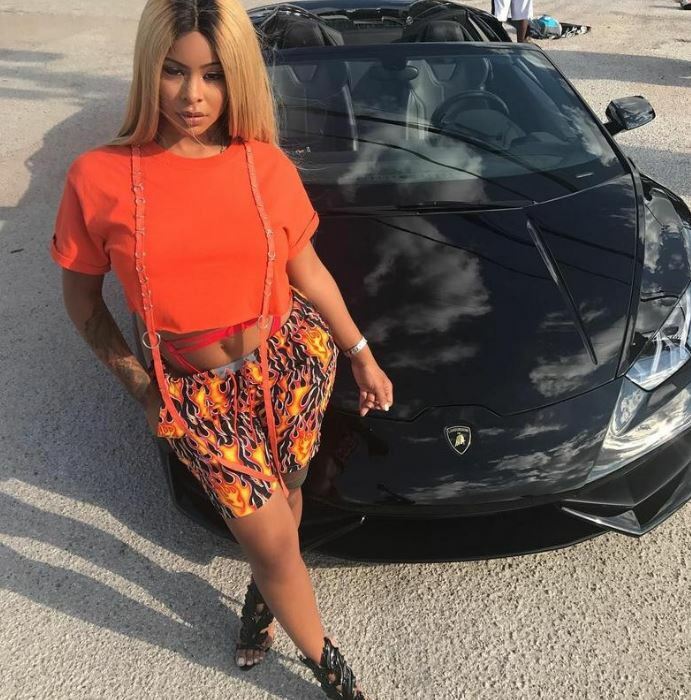 Alexis is a beautiful girl who got the limelight in the past for being the baby mama of Fetty Wap and her feud with Masika Kalysha. The couple’s relationship became the talk of the town after their tape got released in January 2017. However, the couple ended their relationship in 2018 before the birth of their daughter, Alaiya, on 4th January 2018. Currently, Alexis is in the headlines for being in a relationship with Rob Kardashian, a TV personality and businessman. As per People, Rob is dating Alexis to get back at his ex-girlfriend Chyna as Alexis and Chyna have a history of their feud. Rob shared a story on his Instagram having homemade dinner by Alexis at Kris Jenner’s mansion. Well, we will have to wait to see if the couple is really together or is it just for the publicity stunt. Alexis got raised by her mother and grandmother in Amityville, New York. In her childhood, she did not have the opportunity to receive love from her father as Alexis met her biological father when she was 18 years old. Alexis shared her childhood with her brothers. Alexis stands tall with a height of 5 feet and 4 inches and has black hair color with black eyes. She often dyes her hair in blonde color and looking into her Instagram profile, Alexis looks super-hot in her bikini outfits.